Look at me, all posting on the right day 'n stuff. 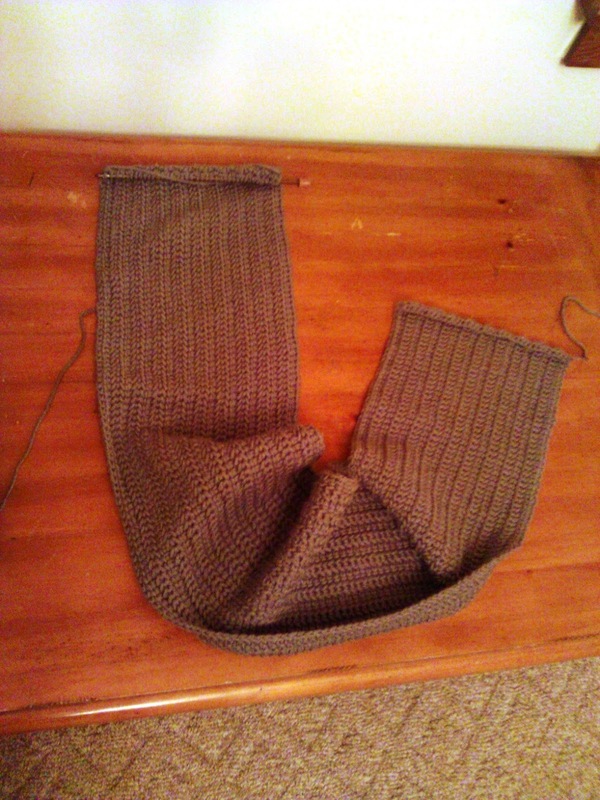 Ok, so the scarf sweater is zooming along. 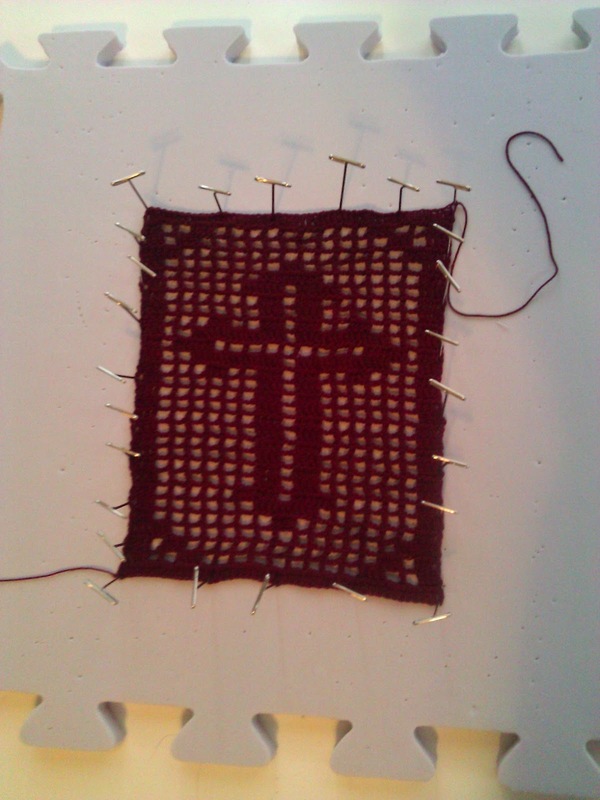 I actually had a couple evenings on the couch to work on it last weekend so I got several rows in. Finished off the first skein and attached the second. I haven't "tried it on" lately, so I'm not sure where I am but I'd say I'm in the range of 75% ish. I'm getting excited to be done, so I can wear it before it gets too warm. Heh. Well honestly, it's short sleeved, so I think I can wear it until June, so I'll be safe. I finished the "bookmark" I was working on, but it's still way too big for a bookmark. I'd say that's about 6 inches tall. Eh, it's for the church so whoever can use it for whatever. I changed the design and made it a lot more narrow and tall. Switched to a smaller hook too. So hopefully the next one will look more like a bookmark. 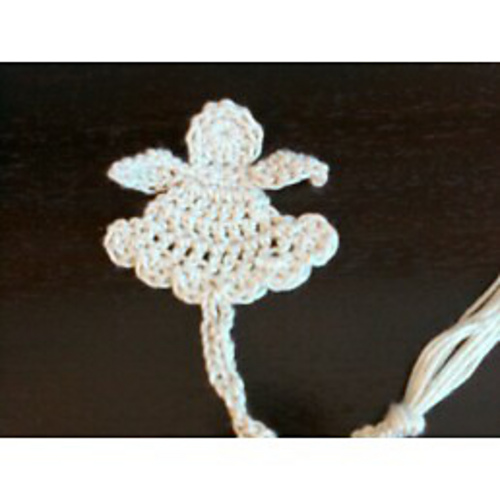 I figure I can also make my Angel bookmarks too. Those are so quick and easy and super cute! My other massive WIP right now, is the show I'm directing. It's getting to a good point now, that it's starting to feel like a show. We open a week from tomorrow!! ACK! I swear I get more nervous when I direct than I EVER used to when acting. So that's it for theonlynikki right now, I hope everyone is well. Much, much love and happy creating!